Last week after a meeting I explored several shops in an Eastside neighbourhood. 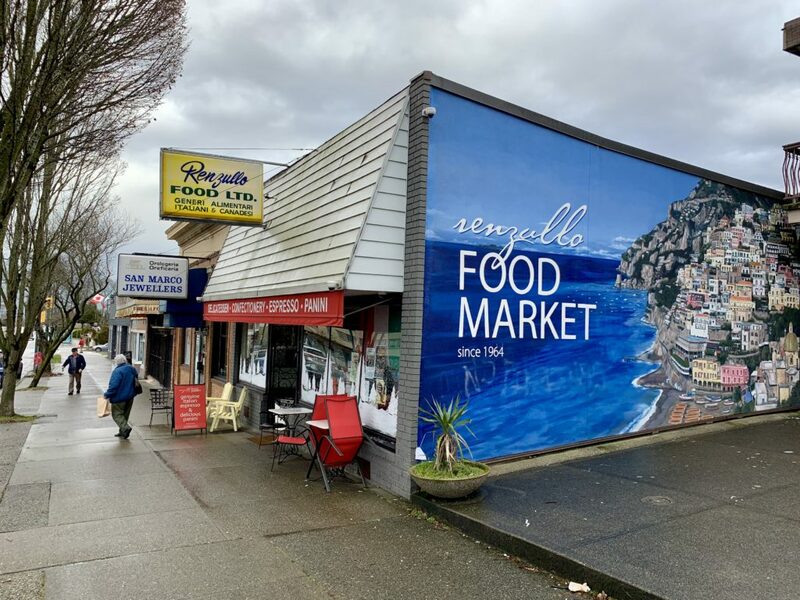 Renzullo’s Food Market was one of the places I visited. It is an Italian deli that has fresh sandwiches, full coffee bar, community table, almost anything you can imagine, and hospitality beyond belief. I was welcomed like a long lost friend, even though it was my first visit there. It has been run by the same family for 50+ years. I learned much about the store, neighbourhood and family as Franco made me a complementary latte and then we shared a small glass of agape wine. He told a story of a customer who wanted to know the wifi password and Franco explained he does not have wifi and that they do it the old fashioned way here, they talk to each other. I’ll be visiting again this week to explore more of the aisles, sample some of the delicious food, and enjoy the community that comes and goes through this gem of a place.